a telescope you can take anywhere! Travel friendly dimensions, a variable power top-of-the-range optical system and highest precision mechanics, these are the characteristics of the MINOX MD 50 W telescope, representing the classic design and production values of the MINOX at a very high level. 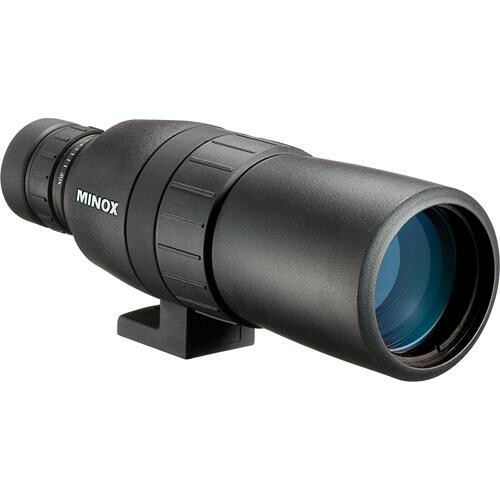 With its fully adjustable eyepiece from 16x to 30x magnification, its compact dimensions and weighing in at just 690 grams the MINOX MD 50 W truly is a spotting scope to have with you at all times. 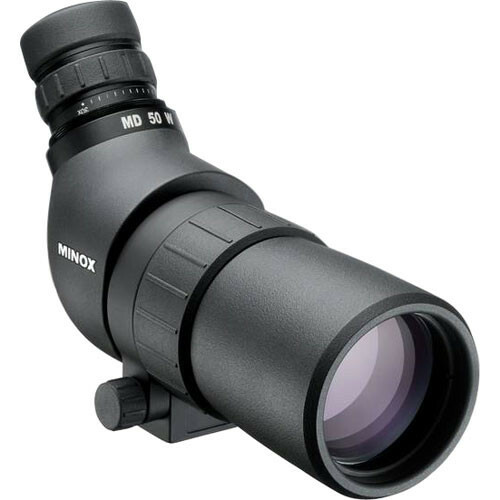 By having the MD 50 W in its overall product range MINOX offers yet another optical product for the ever expanding market of nature observers. Bird watchers in particular value more and more the advantages of a high quality telescope which is still compact enough to carry in a backpack or luggage when traveling. However birders and nature enthusiasts do not want to forfeit quality for convenience and MINOX have made sure that the small size does not compromise quality. Yes, the MINOX spotting scope can, under certain conditions, be an excellent supplement to binoculars, in particular if a stronger magnification than available binoculars is required. With the 16x magnification of the variable eyepiece the compact MD 50 W can at times be hand-held, although for optimum use a tripod is always recommended. Even with a 50 mm entrance pupil the MD 50 W is very powerful and provides good bright images. For high light transmission as well as brilliance, high contrast and natural color rendition the high resolution objective lens system features the multi-layer M* coating which is a MINOX development. This helps to ensure the high quality required for detailed observation and reliable identification of a species. The engineers at MINOX have also provided an extremely close focus range making using the MD 50 W a real pleasure. Go from just five meters from your subject right through to infinity. An angled scope provides a more relaxed stance during viewing and with a swivel tripod connection the telescope can be pivoted when on a tripod. The sturdy but lightweight body protects the precision mechanics and optics against damage in normal use. Rubber armouring ensures a good grip and provides added protection – it is also dustproof and watertight to a depth of five metres. Nitrogen filling on the inside prevents corrosion and fogging caused by condensation, even with extreme temperature fluctuations. The MINOX MD 50 W is supplied with a nylon ever-ready. Field of view 147 - 100 ft. at 1.000 yds. 49 - 33 m at 1.000 m / 2.8° - 1.9° 142 - 100 ft. at 1.000 yds. Height, width, depth 8.38 x 2.48 x 4.84 in. 213 x 63 x 123 mm 9.25 x 2.48 x 5.31 in.